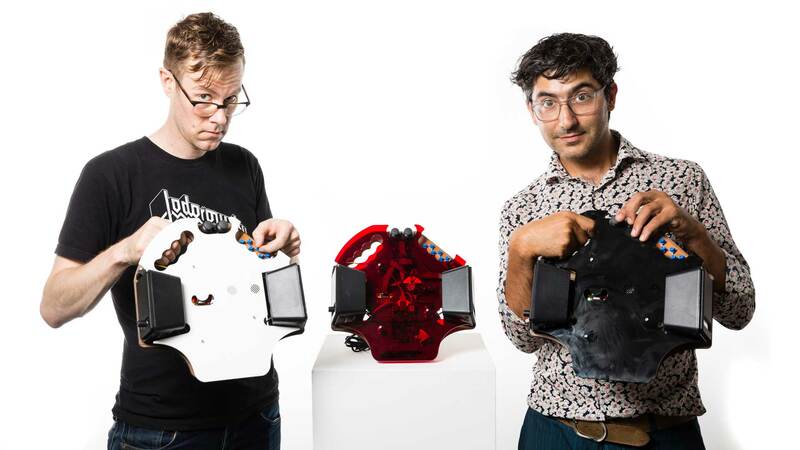 In collaboration with composer and musician Jesse Stiles, and with help from research assistant, musician and technologist Daniel McNamara, we introduce the MOM (Mobile Object for Music): A low-cost, embedded, distributed, hybrid-instrument ensemble. 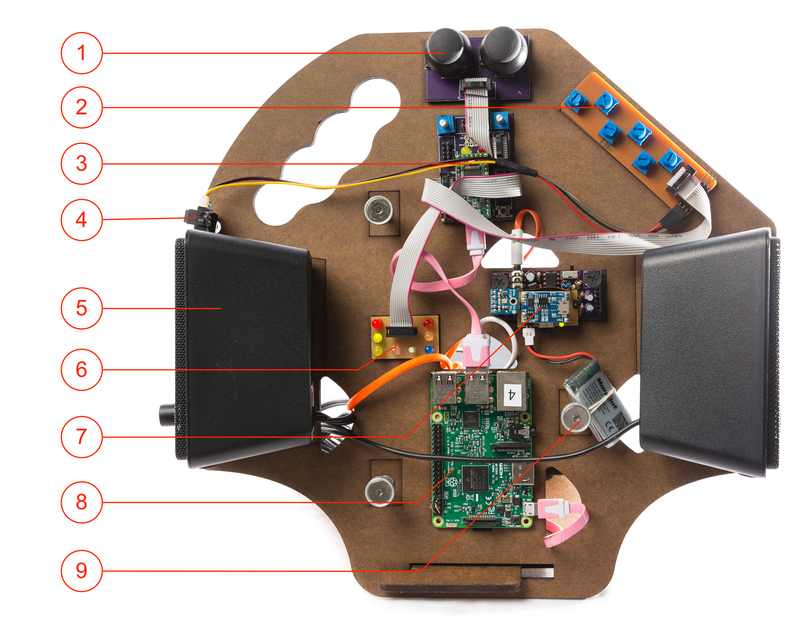 Each instrument consists of a wireless-enabled embedded linux machine (first built with the CHIP computer, then with a Raspberry Pi 3), an audio interface, a high quality MEMS microphone and custom preamp, a custom USB MIDI controller (first built with the TeensyLC, then with a Teensy 3.2), amplification and power. Jesse is making some great PureData patches to try out the MOM; check out his GitHub repo. I am designing custom circuitboards for physical computing input and output, audio input and output, and audio input; I’m also making a system based on Ansible to take care of group configuration management for the ensemble. Check out the my GitHub repo wiki for an overview, or check out the custom preamp and custom USB MIDI controller Eagle design files in my eagle repo. 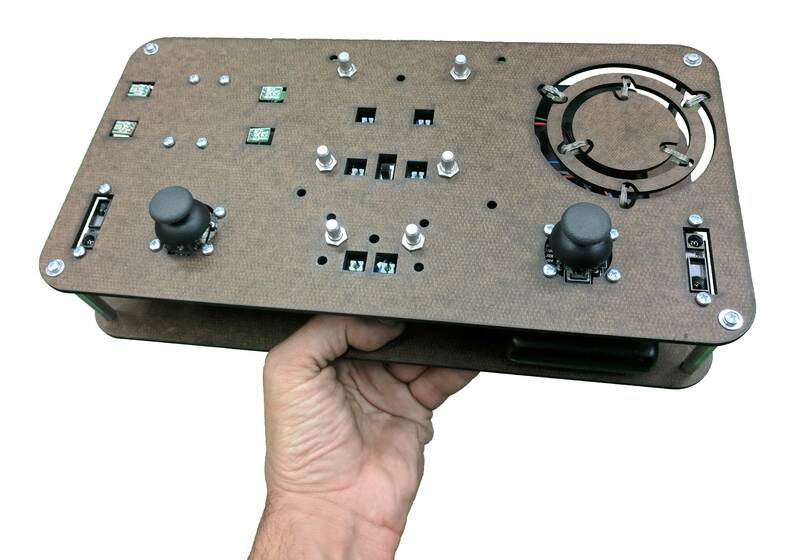 The latest version of the MOM (v4) move hardware to the Bela platform to a focus on gestural input and acoustic sensing. For more in-progress pictures, see this photo album. A low-cost, embedded, distributed, hybrid-instrument ensemble. Each instrument consists of a wireless-enabled embedded linux machine (built with the Raspberry Pi 3), an audio interface, a high quality MEMS microphone and custom preamp, a custom USB MIDI controller (built with the TeensyLC), amplification and power. You can see a short demo vide made by Jesse here. Concept by Ali Momeni and Jesse Stiles. Instrument Design (including hardware, networking, configuration management, interaction design and fabrication) by Ali Momeni. PureData musical software Design by Jesse Stiles.